It's no secret that the key to a flawless makeup look is mainly down to the tools you use to apply it... 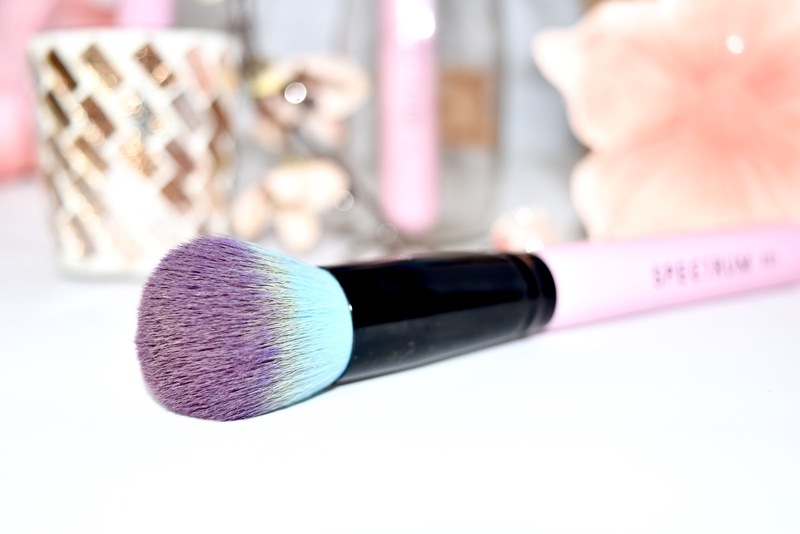 Some people prefer to use their fingers, others a nice flat foundation brush or, if like me you love all things soft, the biggest and most fluffiest brush ever! I am definitely a creature of habit. Once I find something that works well, it takes a lot for me to leave my comfort zone and move on to trying out something else... "If it aint broke, don't fix it!" If you have been following my blog for the past 4+ years, you may have read my review of the Eco Tools Bamboo Buffing brush. I was obsessed and have been ever since... 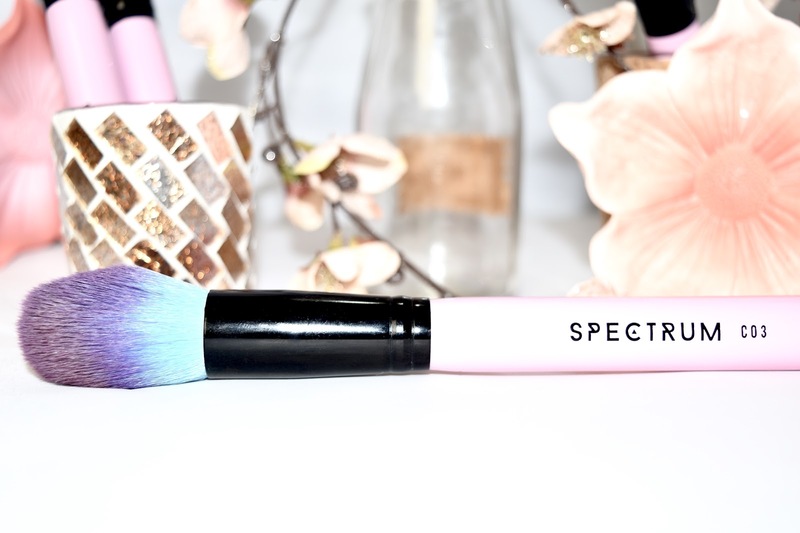 It has been so hard for me to move onto anything else but I finally ventured away, as soon as I laid eyes on these beautiful, magical brushes from Spectrum Collections. As I had heard many great reviews, I was eager to try the 4 Piece Contour Face Set. A huge selling point for the brand is that they actually create all sets in different colour selections. This is especially great for makeup artists, some of whom may prefer to stick with solid colour sets... I adore the Marbleous Set! 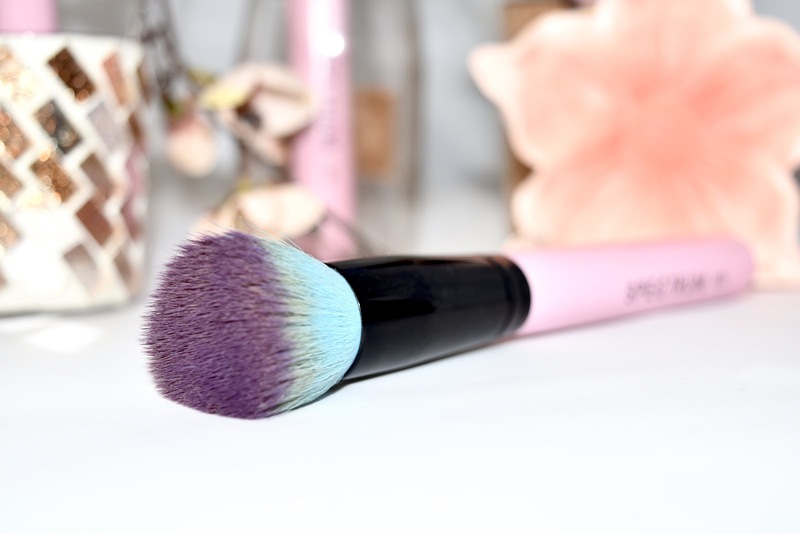 First things first, these brushes are STUNNING... Beautiful, magical, whimsical, girly and most importantly... So soft! I actually can't compare them to anything I have ever felt. You know when you can just tell if a brush has nice bristles? Well the pictures don't do these bad boys justice. I can't even describe them to you. If you have felt the Eco Tools brushes, you will know that they are super soft... Well times that by at least 4 and you will get the idea. 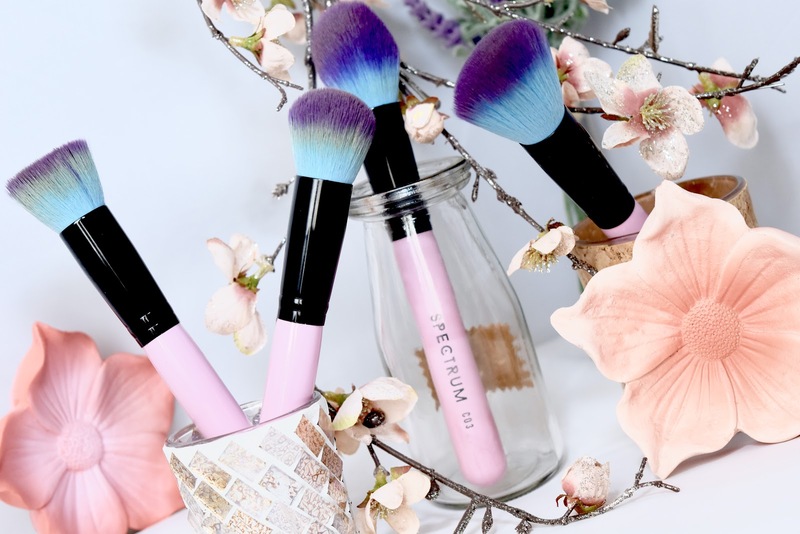 All four brushes are created using the highest quality synthetic hair and are Vegan and Cruelty Free... As the website states, "No unicorns were harmed in the making"... Cute! Before now, I had been applying my foundation using the Eco Tools flat top brush and did so for many years. As a flat topped buffing brush is included in this set, I thought that this would be my go-to. However, after switching out each brush everyday, I have found that each tool is perfect for many different jobs! B01 Flat Top Buffing Brush: Perfect for applying foundation, buffing it out in an airbrushed fashion. Also amazing for baking as it picks up a lot of product and is great at packing onto desired areas. 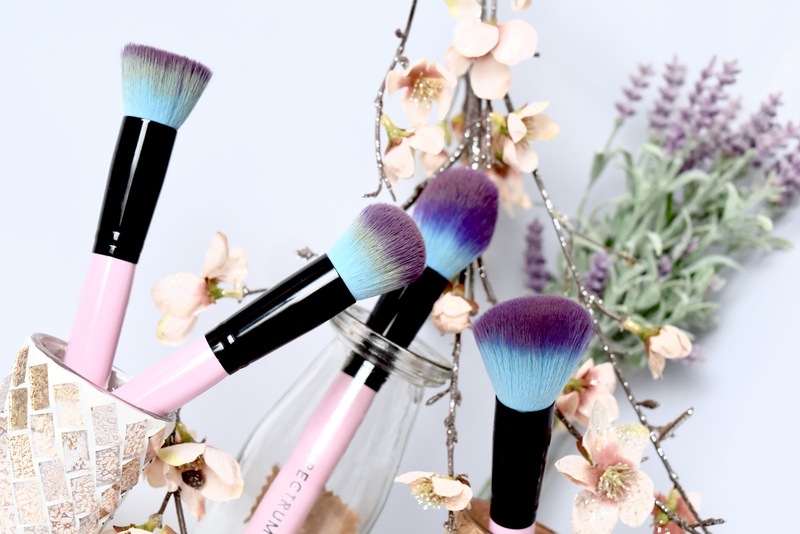 B02 Domed Buffing Brush: Perfect for applying foundation, also buffing out in an airbrushed fashion but as the bristles are less tight, it works well if you like to build up coverage. 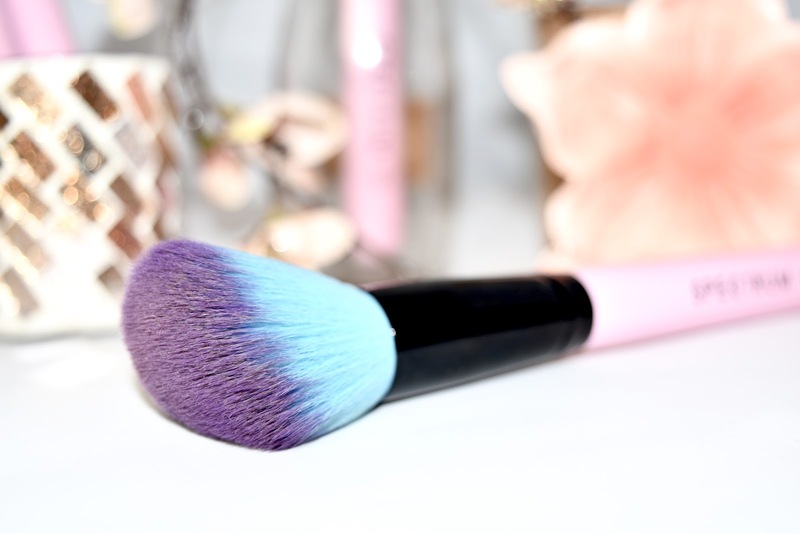 This brush is great for applying powder or blush. 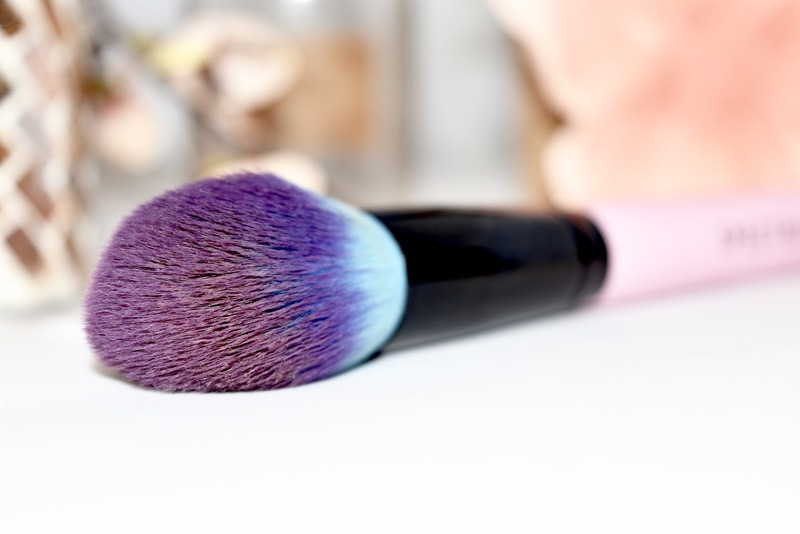 C03 Tulip Powder Brush: Amazing for lightly applying powder. Whether this be setting powder or blush. It is sooo soft! 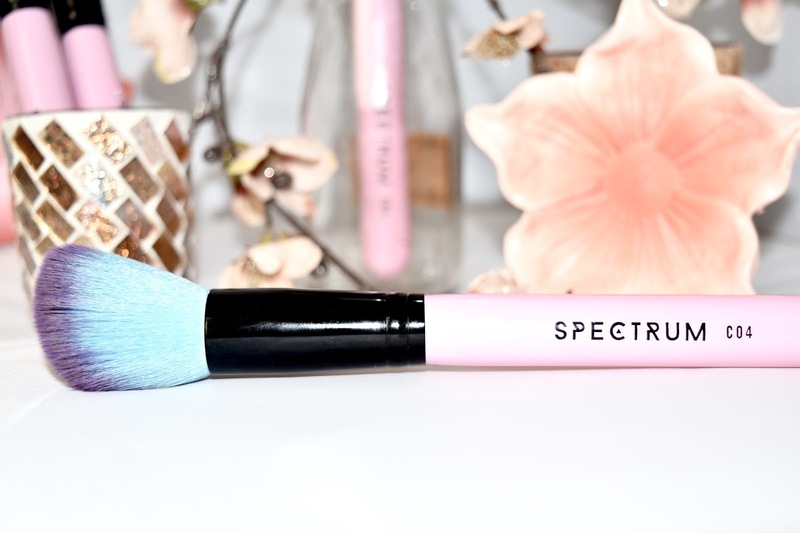 C04 Angled Powder brush: This is my favourite for applying blush. The angle is perfect for the type of application I like and the bristles are not too compact or sparse. 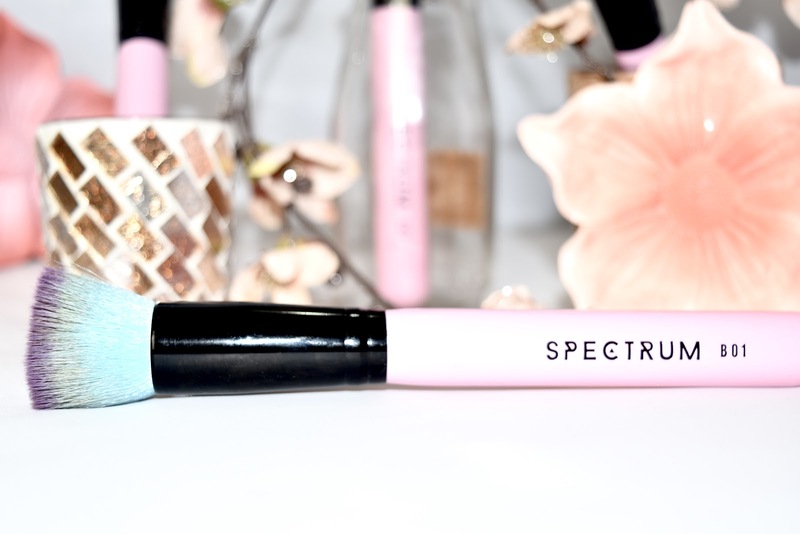 The brush picks up an even amount of product each time and blends beautifully! 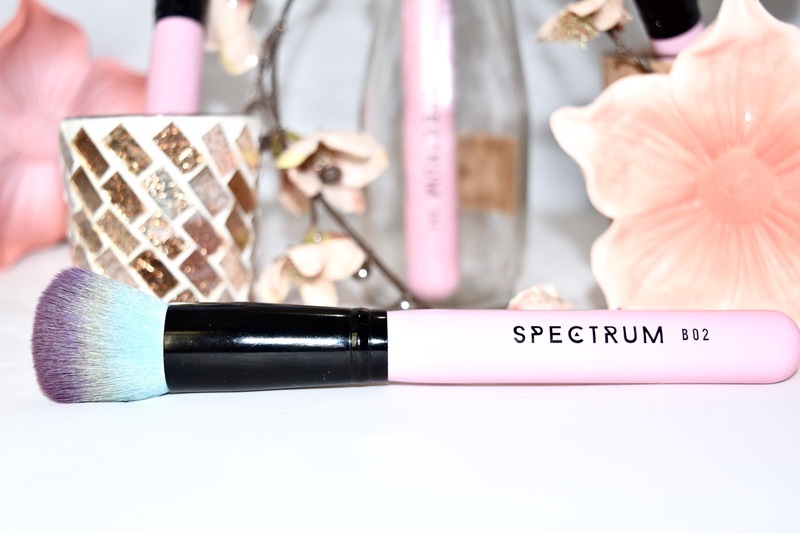 This brush is also perfect for contouring.